Hi friends! I’m still here, just taking a little bit of a blog break at the moment. About a month ago I decided to buckle down and get down to business with finishing my book. The first round of editing was finally completed a few months ago but then I had to format the book into chapters. That took some time because I was also including a break down of campsites along the trail. After all of that, I began researching how to submit books to publishers. I am not a writer by profession but I had enough knowledge to know I had to send query letters to publishers first. However, once I got into reading I found out that query letters for non-fiction writing also meant a book proposal. Book proposals, y’all. That lead me to reading all about book proposals and getting that ball rolling. Needless to say, I’ve been working hard to get a ‘main’ book proposal written that can be tailored for each publisher. Basically, something that has all the information that everyone is requesting and then break it up into individual proposals for each submission. Of course, those proposals also require a query letter and I haven’t even started that yet! In betweeen all of this I’ve also been going through the book for a second edit. I edited the first half of the book last summer so I had some conflicting issues between how I was editing in one frame of reference versus another. Also, I found myself reusing metaphors because I forgot I had used them earlier in the book! Yep. It’s that kind of stuff you have to look for among many others. I’m sure I’m missing more issues. Anyway, I wanted to drop in and say that I haven’t forgotten to write here. I’ve just been using what little spare time I’ve got in the evenings to work on the book. I have a lot to share with y’all, including a few posts from our camping trip back in February that I never got around to sharing. The photos above are from this weekend. 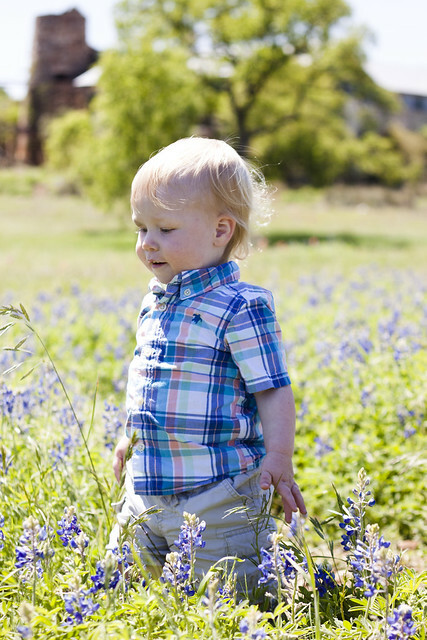 We went over to Austin for the weekend to camp and stopped by the Lady Bird Wildflower Center on the way in order to scope out their wildflowers. 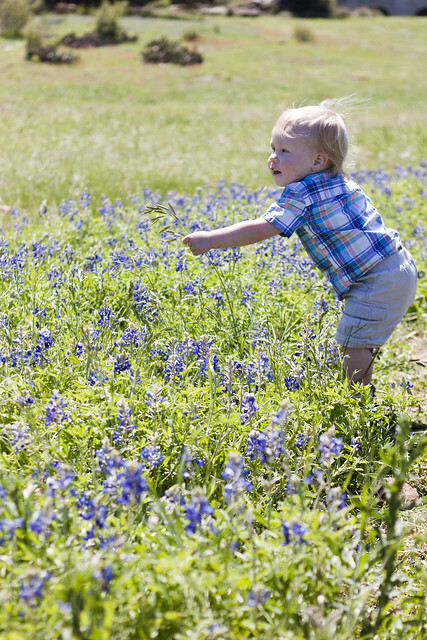 Forest had a blast and wanted to pick all of the bluebonnets and was sorely disappointed when we wouldn’t let him. His new favorite word is “No” said in the most adorable voice that makes it really hard not to be upset with him after. “No” also means “Yes” and “I want that” so it’s not always to be taken at face value. Man, I am so nervous about that step in the book writing process. Thank you for sharing your wisdom and insight! !